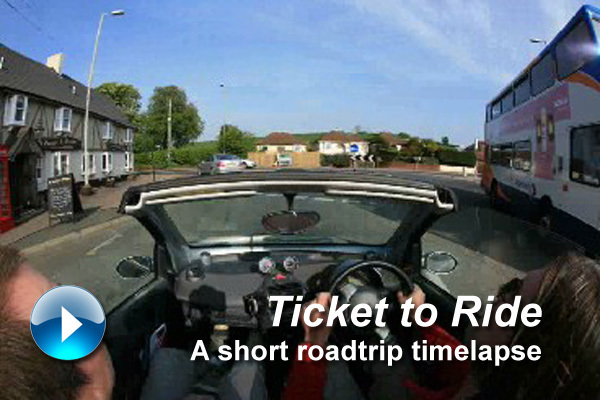 Timelapse is a superb way of capturing a project, be it new construction, the preparation for an event, or a road or rail journey from a driver's eye perspective. Time lapse files are supplied on a DVD for playback at full standard definition on a television and can also be supplied as Windows Media Video files, Macromedia Flash files, AVI or MPEG4 files for web use. 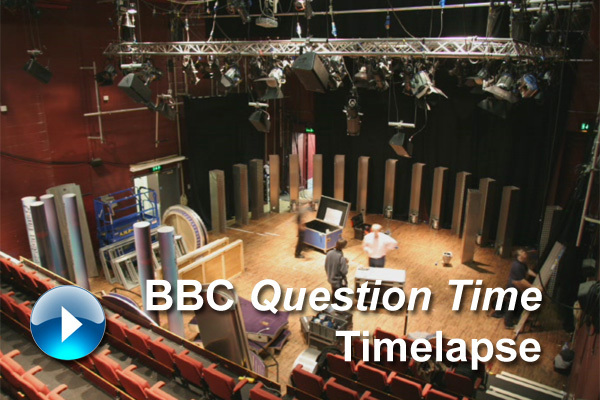 On 26th October, BBC Question Time was broadcast from Exeter Phoenix. The entire set up and de-rig was captured and has been edited into this short clip.